"Merry Christmas. Good Night. 5" is the latest release in the popular "Merry Christmas. Good Night." series of holiday albums. Featuring 11 new original songs of hope, comfort, story, and joy to help shape your Christmas experience. 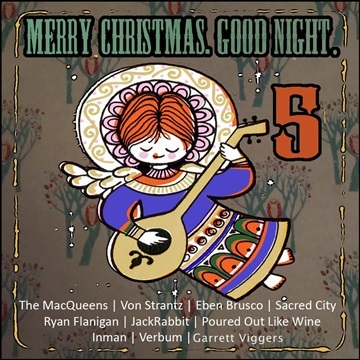 These artists come from far and wide across the U.S. and Canada and have banded together to bring you this unique Christmas offering.